Because who doesn't like pizza? Pizza has become a slice of Americana thanks to the imagination and influence of the Italians. The cheese. The sauce. The crust. The toppings. What's not to love about that hot and fresh taste? Even the worst slices are satisfying, and when you find your favorite, a gourmet meal can't compare. But there is more to pizza than scarfing it down. The country is peppered with pizza-related places to visit. As you explore, eat, and enjoy, you'll come to find pizza to be even more perfect. Check out these pizza points to pop into when you're in the area. Or plan to pack up and peruse all these U.S. pizza hotspots. If fine art and dinosaurs don't stimulate your senses, perhaps a trip to NYC's Museum of Pizza will pique your interest. Coming to the Big Apple mid-October, "the world's first and only immersive art experience celebrating pizza," will give crowds a taste of the truly tempting. "A place to capture timeless memories and take in larger-than-life, immersive installations. A space to bask in multi-sensory, psychedelic pizza joy," is what this museum is set to deliver…but can you take in all the exhibits in 30 minutes or less? Location is being "kept secret" for now… but you can get tickets today. An expo for eating? That's the kinda trade show worth traveling to. 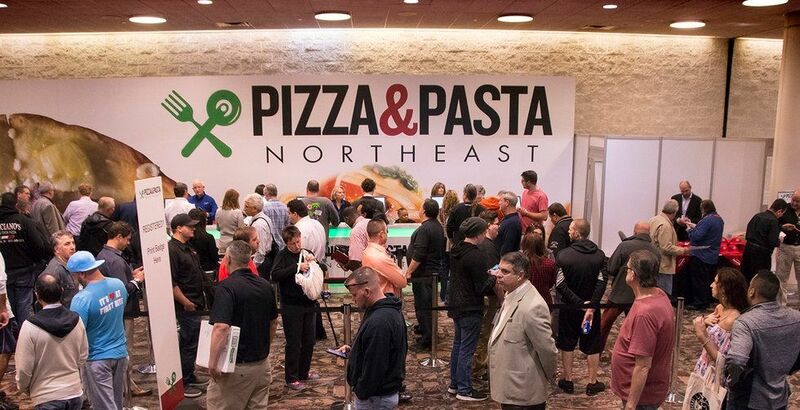 Head to Atlantic City from October 3-4 and explore the second annual Pizza & Pasta Northeast Trade Show. Delight in demos by chefs, secure a savory seminar, hear speeches and attend workshops, and check out all the supplies pizza and pasta makers swear by. Contests will be held and chow will be served. Why bother with the AC boardwalk when all the best stuff's inside? Billed as "New York's Cheesiest Guided Tour," Scott's Pizza Tours can be taken by bus or by foot, and the eight different options cover pizza-dense areas of the city. Check out the gems in each neighborhood, sample an average of three special slices per tour, and reaffirm your appreciation for real NYC-style pizza with like-minded munchers. Meet friends, fill up, and cross "pizza crawl" off your bucket list. Starting location depends on tour selected. Got pizza on the brain? 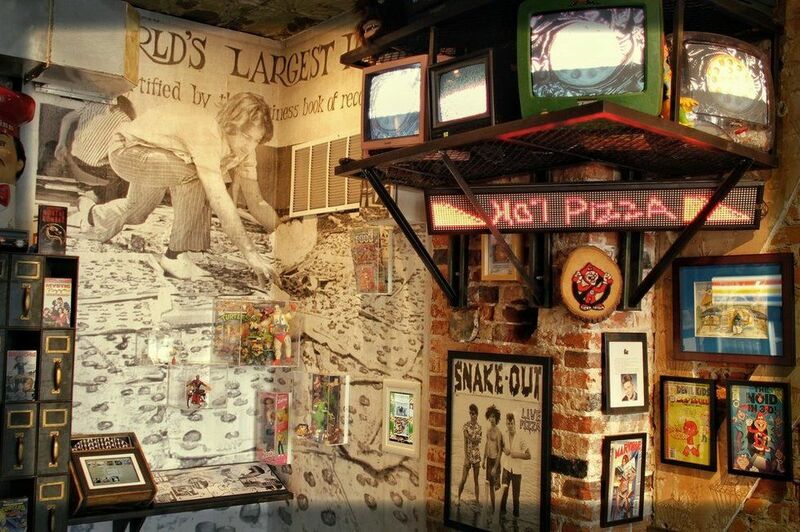 The Guinness World Record holding Philly museum is the world's first pizza museum, filled with quirky pizza-themed trinkets, books, posters, collectables, and more. While you're there, grab something to eat at Pizza Brain's popular restaurant. The toppings are plentiful and the pizzas are made-to-order. Browse and be good to your belly. If you love to eat pizza, why not become a master…or at least a student of the scrumptious? If you're in the Chicago area, the North American Pizza & Culinary Academy is the school you always wish you'd signed up for. You may not get a PhD in pizza, but you're sure to be the teacher's pet. The academy is for everyone, "from novice to full-fledged fellow foodie, our cooking classes are designed for people of ALL ages and skill sets." Bring your apron and your appetite and give it the "old college try." What goes better with pizza than a nice glass of wine? The east end of Long Island boasts an unbelievable wine country, but not many wineries also feature food. Jamesport Vineyards takes 'wine and cheese' to a new level with their made-on-premises wood fired pizza. 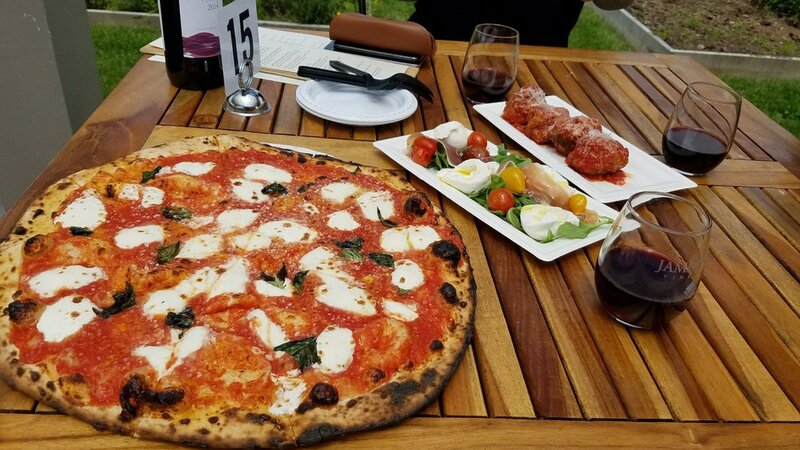 Whether you prefer a red or a white, you always know you'll be washing down a slice of the best pizza on the North Fork. The California culinary experience now features pizza at your place. 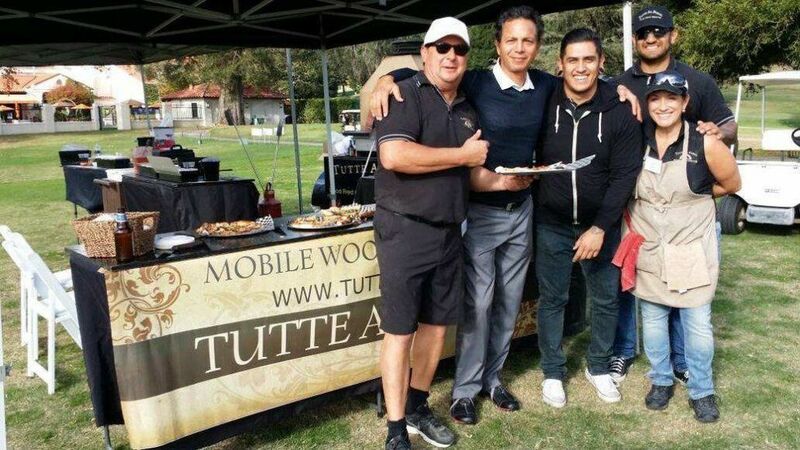 Tutte Al Forno Wood Fired Catering lets you have your pizza party free of cardboard boxes and greasy garlic knots. Their artisan-style pizzas will make your guests grateful for your penchant for pizza, and everyone will love how the freshly cooked food is made on-premises and served piping hot. Skip the sandwiches and hold off on the hot dogs. Pizza makes any party worth celebrating.